Drown stands for Decrypting RSA using Obsolete and Weakened eNcryption, and it provides a way for attackers to decrypt HTTPS communications from servers that are still supporting SSLv2. Most of us think supporting SSLv2 protocol on server is not a problem because most of the modern client software’s just don’t use it. But looks like the mere existence of SSLv2 help attackers to crack a connection’s encryption, and initiate what is effectively a MITM attack. It allows SSLv2 connections. This is surprisingly common, due to misconfiguration and inappropriate default settings. Our measurements show that 17% of HTTPS servers still allow SSLv2 connections. Its private key is used on any other server that allows SSLv2 connections, even for another protocol. Many companies reuse the same certificate and key on their web and email servers, for instance. 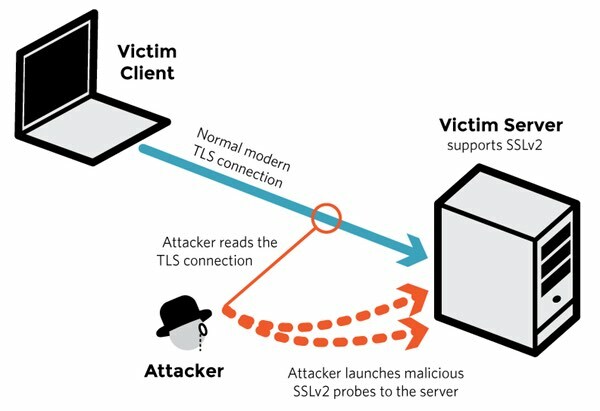 In this case, if the email server supports SSLv2 and the web server does not, an attacker can take advantage of the email server to break TLS connections to the web server. 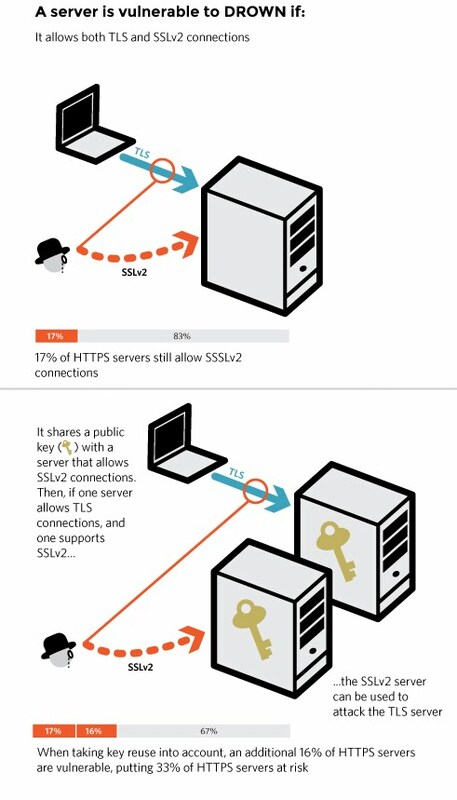 When taking key reuse into account, an additional 16% of HTTPS servers are vulnerable, putting 33% of HTTPS servers at risk. If you want to check whether a particular site is vulnerable, the researchers have helpfully provided an online tool.